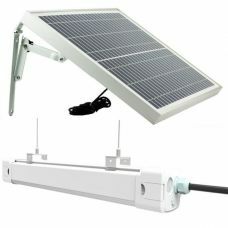 Tri-Proof 20W 120LED Solar Batten Tube Light is fully independent of the grid lamp suitable for indoor and outdoor use. Bright waterproof IP65 the product has extensive 10400mAh Lithium Battery to supply the lighting up to 12 hours when fully charged. Detached Solar Panel with 5m cord makes the light bar an ideal solution for remote garden sheds, garages, storages, verandas, balconies, camping tents and various commercial applications including warehouses & offices. Portable 30 LED Multi-functional Solar Camping Light with Four Modes is a high-quality durable waterproof product with multiple features. 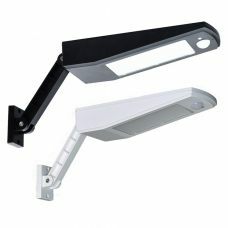 Multifunctional lighting options including Motion Sensor, energy-saving DIM mode, emergency light in combination with compact size and light weight make this portable lamp ideal for camping, travelling, beach night outs, car fixing, construction, fishing at night and emergency lighting for home, garden, garage, warehouses etc. 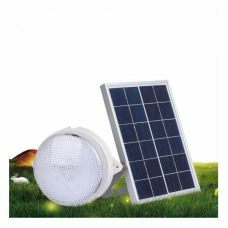 Suitable for indoor and outdoor use Compact LED Solar Shed Light with manual pull cord switch is a fully Solar Powered product that does not require any additional electric wires or other sources of energy. The solar panel is separated from the light head that provides flexibility in installation. The shed light has a manual switch that makes it extremely convenient for Australian households including a shed, patio, veranda, garage etc. 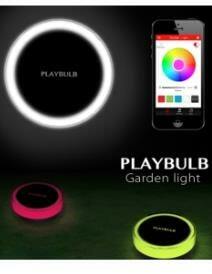 Indoor solar light Ceramic Color Changing Table Lamp LED for Garden or Indoor use High Solar Conversion Rate Corrosion-Resistant Moisture-Proof Built-In Automatic Light Sensor Two Lighting Modes: Constant White Steady On or Color Changing RGB Colors suitable for Garden Lawn Backyard Balcony or indoor coffee table bedside table etc. What to know before looking for an outdoor solar lamp online? First of all, solar lamps are outdoor lights that run on solar power. Useful in a wide range of applications, outdoor lighting generally consists of an LED light, one or more solar panels, and a rechargeable battery. The panels use sunlight to charge the battery, which then powers the solar lamp at night. Many are equipped with daylight sensors and designed to turn on automatically each evening, creating a welcoming glow all night long. Lamps come in a wide range of styles, and quality can vary widely, so it’s important to remember that cheaper is not always better. High-quality LED solar lamps tend to look and function like more traditional electrical lights, guaranteeing years of efficient outdoor lighting with the look you want. The benefits of a solar powered lamp make it a great option for updating existing outdoor lighting. Perhaps the most essential advantage of installing solar powered lighting in your yard, patio, or garden is how efficient and environmentally friendly they are. Whether you need lighting options for a walkway, patio, pool area, entryway, or garden, you will enjoy 360-degree benefits with quality LED lamps. 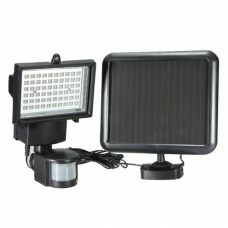 In size and appearance, solar lamps for outdoor lighting can vary widely. The most common types available in Australia range from patio and street style lamps to full-size lamp posts and even indoor solar lamps including products like solar table lamps. 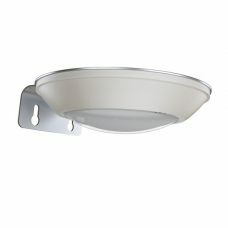 Lighting and decorating a patio is an easy task with patio lamps. Create the perfect mood lighting for your gatherings or relaxing summer nights with freestanding patio lamps on posts, or hang them from a hook or chain for a charming rustic touch. Exterior yard lamps allow creating landscaping accents that will put your hard work on display for your guests and allow you to enjoy your yard until late into the night. With no wires required, you can install a solar powered yard lamp just about anywhere. Create dramatic effects and safe walkways with LED solar lawn lamps for outside illumination that glow close to the ground. With simple ground stakes and a bit of effort, lawn lamps are easy to install. What’s more, solar powered lawn lamps can add a level of illumination to your yard that won’t detract from the other features. The right lighting can transform a garden space into a beautiful, functional spot. Whether you envision your garden as a gathering spot for friends and family or a peaceful place to relax, exterior lighting can add the perfect decorative accent everyone will admire. 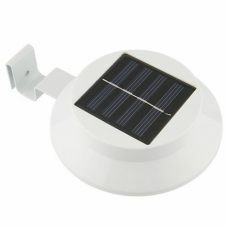 Solar lamps feature 360-illumination, installed at any height you choose. So, whether your dream garden includes lining a walkway or patio with charming lamp posts or creating an ornamental lighting system for your entire outdoor space, you can have it all. 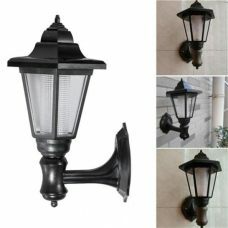 Where to buy the best outdoor solar lamps in Australia to get a great value deal? 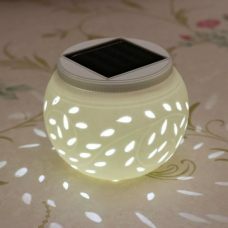 For the last years solar powered lamps have developed a lot, and now there are multiple options for places to shop for solar energy lamps including online shopping. 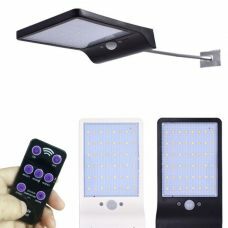 There are advantages and disadvantages of purchasing products offline, but we would instead concentrate on benefits of online shopping for LED solar lights that offer much higher value for the money especially when it comes to special deals and sales. For example, have a closer look at Sunny Bunny Solar that has one of the most significant ranges of outdoor solar lamps in Australia. Different types of devices high-quality LED lighting products are laid out on the website with a comprehensive description, quality photos and customer reviews. There are special offers and discounts, specially selected featured products and customer ratings for each lamp that makes it easier to choose. There are various models available to purchase online from the range starts from just $34.99. What makes shopping online with Sunny Bunny even more exciting is that we offer all our LED lamps with Free Delivery to any part of Australia and New Zealand.